There seems to be a lot of talk these days about large farms squeezing out the small farms. I see small farmers complaining about big farmers gobbling up land. I see people in the city lamenting the passing of the picturesque red barn farms. I see a lot of talk about big ag and small local and very few people seem to really understand what’s going on. So let’s talk about why small farms are being replaced by larger farms. Hubs and I farm in a partnership with his parents. We milk around 100 cows and grow crops on around 300 acres. In Wisconsin, where we live, the average dairy farm is 100 cows. So we are your average sized farm for our area. We have a couple of part time employees that milk a few milkings a week, we have a full time employee that helps us get everything done. Hubs and both of his parents derive their income solely from the farm. I work on the farm as well as off the farm and do not take pay from the farm. Right now the amount of income that our cows produce can sustain the farm and the people who draw a paycheck from it. However, we are far from living a lavish lifestyle. There isn’t piles of money lying around that I have found. Most people would classify us as a “small farm”. As a small farmer I don’t understand when other farmers complain about “big” farms pushing them out. I don’t see it. I hear people say that they could have bought some land but some “big farmer” came in and paid more than they could offer. This seems a lot like someone saying that they didn’t buy a car because someone else offered more than they were willing to pay, and blaming that person for it. Farms have to get bigger to generate enough income to support more family members when kids decide to join the family business. If a farm only generates enough profit for 1 household you can’t expect it to suddenly make enough profit for 2 households without some major changes. 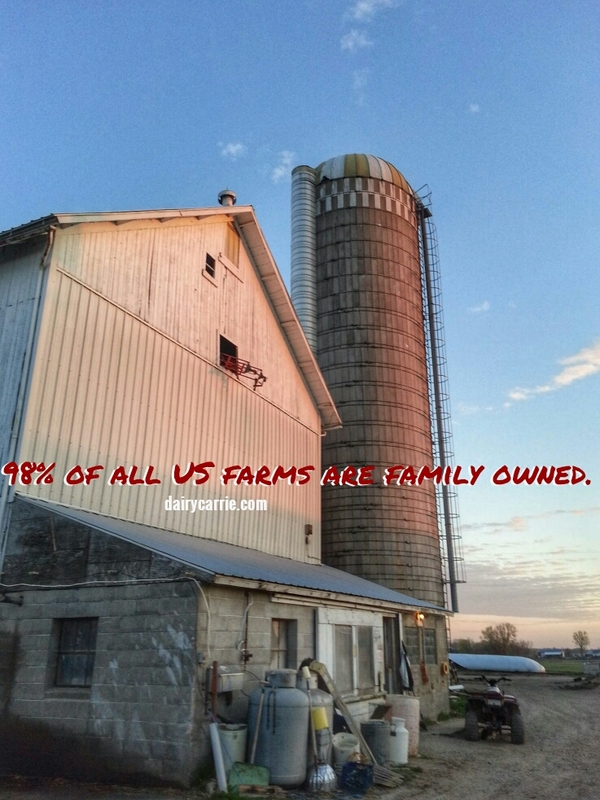 Despite what you may have seen in headlines around the internet, around 98% of all US farms are family owned. Do you like spending time with your friends? How about having weekends off? What about sleeping in or going on vacation? On a small farm you don’t get those things easily if at all. You are tied to the farm, even more so when you have livestock. Cows, chickens and pigs aren’t like a house cat, you can’t just fill up their food bowl and tell them you’ll see them tomorrow. Without employees to care for the animals, your free time is very limited. In order to afford employees, you have to generate enough profit to pay them. Farms are getting bigger because there are fewer people willing to do the work. The average age of farmers in the US is 55 years old. I know many more farmers whose children live in the city and don’t have any plans to return to the farm than farmers who are handing off their farms to the next generation. Farming is hard work and you don’t make much money. It’s not surprising that many people choose to leave the farm. Fewer people willing to do the work means that those who do want to do the work get bigger. Farming is expensive. In our area good cropland sells for $8-10,000 an acre. Tractors and equipment can cost BIG money. Want to have livestock? Then you have buildings, they cost money too. Oh, and cows and pigs don’t grow on trees, you have to buy them as well. It is not easy for someone to get into farming. This keeps a lot of people from coming into farming and that keeps small farms from starting or staying in business. As you grow your farm, the bank is more likely to loan you money to improve your facilities for your animals or equipment. They won’t give you a million dollar loan to build a barn for 22 cows because 22 cows would never be able to generate enough income to pay the bank back. Want a shop to work on your tractor? You better be able to show the bank that you can make the loan payments. Profit margins in farming aren’t awesome. Like any business we have to pay close attention to the dollars coming in and going out. As farms grow they buy larger amounts of needed items like seed, vaccinations, feed ingredients, fuel, etc. As anybody with a Costco or Sam’s membership knows buying in bulk can save you loads of money. I doubt that any farmer is doubling the size of their farm to save $.10 on a gallon of motor oil but knowing that there are ways to improve your profit margin as your farm grows is an incentive to do so. Hubs and I hope to keep our farm about the same size it is now. We both agree that we would rather manage our cows and not manage people. We know that we are hands on people and we want to be the ones to do the hands on work with our crops and cows. That being said, we also know that we are going to need to figure out ways to make out farm more profitable so that we can stay the size we are. For us that means looking at ways to get more money for our milk, like marketing cheese made with milk from our cows. We are also looking at ways to cut our labor costs, like installing milking robots when our current parlor needs to be replaced, saving us money on hiring part time employees. We know we have to get creative to stay the size that we are in the future and we don’t hold anything against those who decide to grow. Small or large, it’s going to take all of us to feed the world. « Not Your Mama’s Recipe- Rumchata Rhubarb Crisp. 51 Comments on 5 Reasons Farms Are Getting Bigger. Here is hoping you make it! I’m sure you will. 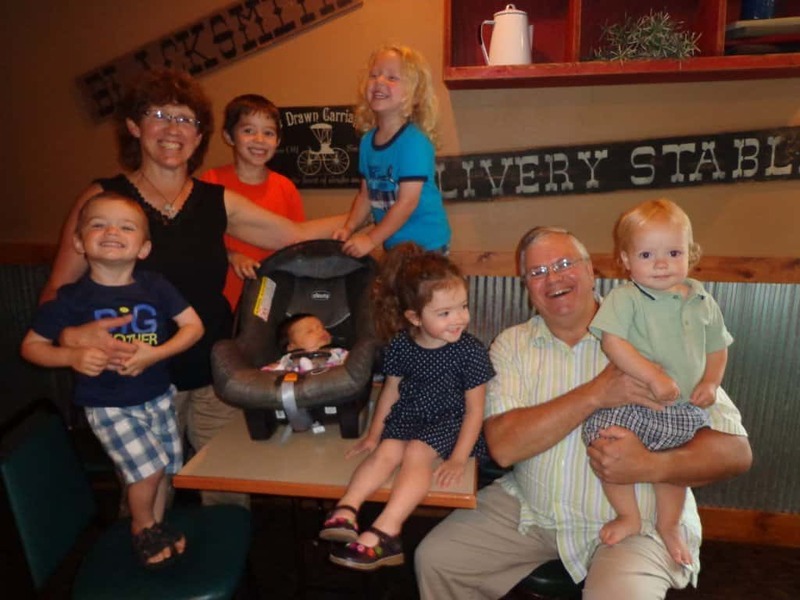 When your parents retire, will you kids be able or want to join you to continue your farm? I hope they do. Well, we don’t have kids but we are farming with the future in mind. The analogy of comparing farmland to cars is flawed.. I think it is a reasonable argument to say corporations, or whatever are driving the price of farmland up beyond the reach of ‘ordinary’ people.. They make new cars every day, god stopped making land a long time ago, there’s a limited supply of it, and as monetary inflation is rampant, you can never save enough money to ever buy land. agree. Always more cars, not more land. Also investors buy land instead of putting money in the bank. Can’t blame them, I do it myself. Nicely said. My husband and I married 14 years ago.. Had 260 cows 2 employees… We now have 685 cows and 9 employees. We have twin boys who we want to see farm IF they want so we have to get debt paid down and have farm ready for them in 15 years .. We had to expand in order to ‘have a life’. With no other family in the business now to milk we hire outsiders in order that we get to get away at times. Plus getting over 2009 and 2012 has been a challenge. Farming is not for the faint of heart whether you are small or large! BUT it is what my hubby wants to do and I’ll support that dream. Great post Carrie! Thank you for taking the time to explain the difference and reasons why some farms are larger than others! 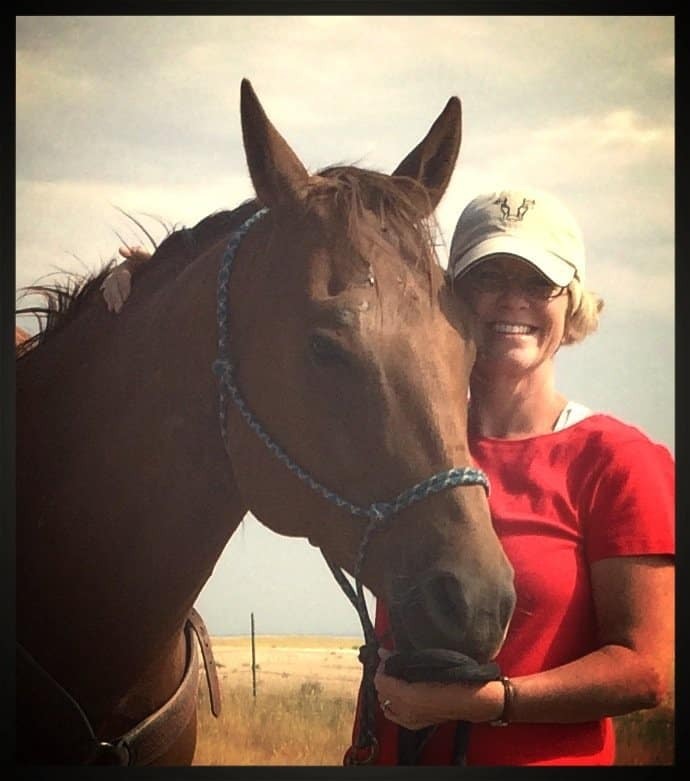 You are a great Advocate to the Agriculture industry! Do you get any federal farm subsidies? We have collected on crop insurance. That’s a federal program that we pay into and collect from if we meet criteria if we have a weather event that destroys our crops. It works about the same as any other insurance plan. I think it is by the grace of God alone that my husband is the 4th generation to farm this land when he was the only son and his father and grandfather before him were the only boys in the family. We’re raising the 5th generation and we will support them in whatever they want to do, but we sure hope they’ll want to farm! Excellent overview of the big Ag vs. small farm topic. We are CA citrus growers, but the basics are similar, including hard work, good management, keeping up with technology, etc. My husband is a 3rd generation grower, and we are grateful that our daughter and her husband, after having other careers, moved nearby and took over the business two years ago. They are working hard, making some changes, and they are navigating the conventional vs. organic issues. I enjoy your blog. It’s good to know what’s going on in other areas of Ag. I think this is a good list but I also think there are probably 5 reasons farms are simultaneously getting smaller too. Maybe I should write a companion post! I’m sure there are plenty of reasons to go smaller too! Janice, please do respond. Having just read “This ain’t normal” about farming smaller and lighter on the land, I would like to see another side to explain that trend. Great list and all very true. My husband and I continue to farm to provide a farm for our children to return to when they grow up. We want them to be able to return to the farm and raise a family just like we did, and we know that growth is the only way that can happen. Bigger isn’t bad in agriculture. Our farm’s growth is a natural result of my husband’s ambition, hard work and determination. 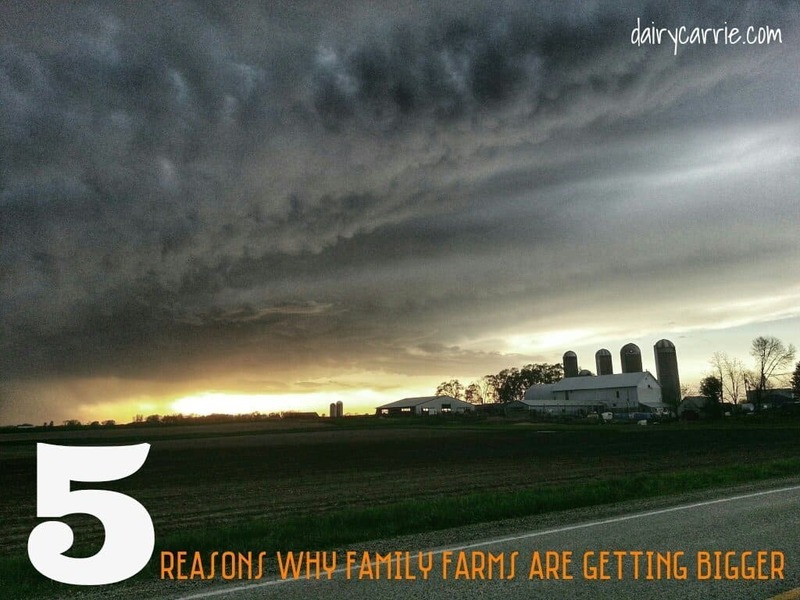 My husband and I are milking 150 cows with my in-laws in WI and also struggle with the, ‘what do we do now’ question in regards to making a comfortable living with the volatility on both the income and expense side of being a ‘small’ dairy farmer. We have to get bigger in order for all of us to come back. People always sound shocked when we tell them our farm size. But our farm supports 3 families. 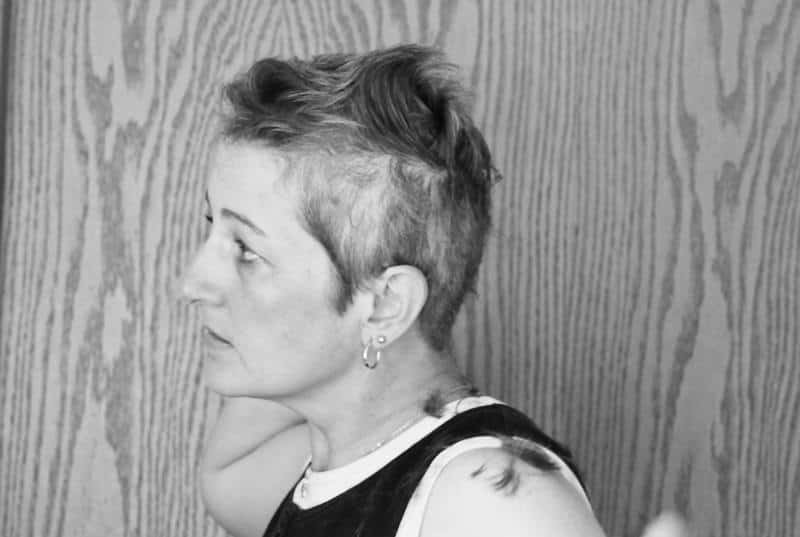 My husband works full time off the farm, as do I, and my mother-in-law works part-time off the farm, because our farm still isn’t big enough to support us all coming back full-time. It is what it is in that sense, but we sincerely hope it will be there for the next generation to come back to. I support all farms big or small, but I’m sure all of our end goals for what we want our farm to look like and do is very different. I wish more people would understand that part- that not ever farm is the same, nor can it be. Thanks for writing a great piece again Carrie! We must have been having the same thoughts. Here is the blog I posted earlier this week! Great post Jen! I had missed this when it first came out! I would be happy to sample your wares Heidi! Living in California wine country everyone around me seems to have a small vineyard for homemade wine. We love it. Also our olive trees. And I love with a passion those who grow organic fruits and vegetables, since we are vegetarian. Cannot think of a fruit or vegetables we do not love. I can’t think of any that I don’t eat either. Carrie, I would suggest you become a LLP or LLC. Being a partnership leaves your personal assets at risk if something happens with the farm. Another thing that people don’t realize is that your farm needs to be able to deal with all the regulatory issues. This takes management time. Everything from what you feed your animals to how you manage your employees is covered by reams of regulation. You have to cover the overhead of learning all that or hiring people to help in those areas. I’m the 4th generation on my families land and my brother is about to turn 50 this year and looking into taking over the family farm from our parents in a few years. He works off the farm full time and only helps out in the evenings and weekends. None of our kids have shown interest in farming, so he and I are trying to see what would work to keep the land in the family. My husband grew up in a big city, but would love to start farming full time. My parents farm 1000+ acres, but not all of it is owned by them. They have been asked by other area farmers who trust their farming techniques to help farm their acres and it seems to work out. They are conventional farmers but farm as responsibly as possible. I agree, it does take all types of farmers to grow the food to feed the world. If we didn’t have small, medium, large, conventional, organic and other types of farms, there would be a lot of hungry people. I don’t believe only one type of farm or one method of farming is the answer. We don’t all look the same or hold the same job in life, why should farms all be the same? Family owned does NOT equal sustainable, ethical, or dedicated to responsible business practices. Neither does Organic, Small, Local or any other buzz word label placed on farms. That’s nonsense! Limited liability means you can walk away from your debts scott free with no recourse from your creditors That makes sense for people who insist on never being out of debt, ever! Jerry, I appreciate your comments but I’m going to work with and trust the people who know our farms full picture rather than comments from people I don’t know on the internet. YES! Carrie for the win! It’s also very difficult to be a small row crop farmer. A tractor and a combine are going to set you back several hundred thousand. It has also gotten much easier to be a large farmer. All the equipment has gotten larger. Biotech seeds allow you to back off management a little bit more as well. One person can manage 1000 acres of corn and soy. Years ago there would have been no way. Not with a 30HP tractor, single row combine, and a 4 row cultivator. Short of being a multimillionaire, how would someone who’s family does not currently own land or farm get into farming? While the current farm kids often leave for the city, the following generation sometimes wants to come back, but the price of entry has gotten too high. You might not be able to make a profit with 22 cows, but folks need to start somewhere, and since they got rid of the Class B Dairy’s you cannot even make cheese and sell it from a couple of cows. Used to be you could do that, start as a hobby farm with a day job, and then, if you were good at it and built up a clientele, you could add cows and equipment over time and maybe turn to farming full time at some point. When a smaller farm does come up for sale, the combined price of land, home, and equipment puts the selling price out of reach of most middle class folks, so the larger farm next door often ends up gobbling it up…and the number of farmers decreases. In Arkansas, and some other states, you can do just that. We can sell up to 500 gallons of raw milk off the farm, goat or cow, no legal crap. But I would have no interest in getting bigger. Then you get into a middle man and waning profit margins. Much of why farms are so big is people are not buying direct from the farmer like we should. Better product for the customer, more farmers and farmers actually making a profit. Excellent, excellent article. Things we farmers and ranchers know, but first time I’ve seen it all put on paper. Thanks for hitting the nail on the head. We are both 30 and have a “small”, 175 head cow/calf operation, and are already trying to figure out how much we need to grow in order to support our two boys if they decide to join the business down the road. Keep up the good work! Hey Carrie, love your post! I have been thinking about writing something similar lately. It makes me so sad the anger that is expressed towards ‘big Ag’ implying that anyone who doesn’t plow with horses or use cab-less tractors is a faceless money hungry corporation that doesn’t care about anything except profit. We are a slightly above average size farm for our area but are working towards getting bigger. The reason for that is exactly as you mentioned; the next generation. We sat down with our accountants a couple years ago and they grilled us on the details of our 10 year plan. ‘Where will you be in 10 years?’ and me and my husband both looked at each other and said; we will have 2 boys finished/finishing school and possibly wanting to take part in the farm! 10 years is not a lot of time and so we mapped out a very detailed plan on how much we need to put aside in order to grow enough that this farm can support 3 families by a certain time. The unfortunate fact of farming is the small often can’t survive. As you mentioned, there often isn’t a huge profit margin in farming and when a small farmer has a crop failure or other disaster he sometimes has nothing to fall back on. With many children choosing to leave the farm for an easier lifestyle these smaller farmers feel that the amount of work and risk just isn’t worth it anymore and they sell. Farms have to be a certain size to sustain a family without off farm income and to survive the tough years without going broke. We have purchased land from smaller farmers selling because the kids chose other careers, and many retired farmers help us as seasonal staff. Big or small, most farms are family farms and we do care about the land, the environment and the future. So, if you’re selling milk for $6/gal, and your profit margin is $2/gal, you’re yearly income is $1000/year? $6 / Gal ? That is laughable ! What are milk prices now ? $13-$16 /100 pounds ? As I tell everyone : The folks making the plastic milk jug or the paper label make more money than the poor farmer who made the milk ! AND the Farmer doesn’t get nights & weekends off or paid Holidays or vacations . No , not even sick days off , paid or not ! Farming , esp Dairy is 24/7 /365 , cows are milked 2 or 3 times a day ! Plus fed ! Another sad /silly thing : what other product is taken from the producer , shipped & consumed by the public 30 days before the producer knows what he is paid for his product 30 days later ? NO OTHER PRODUCT , manufactured or agricultural ! Actually Alan, right now we have record high prices for milk and we’re closer to $24-26/100lbs. But that’s just starting to make up for 08-09 when we were lucky to get $10/100lbs. Great post! The idea of one person farming 1,000 acres of corn & soybeans blows my mind! It also reminds me of how labor-intensive our crop is: sugarcane. We farm around 1,000 acres and another family member farms another 1,000 but we do all of the work together. Combined, we employ between 10 and 20 people, depending on the season, with the ten being full-time, and not including the owner of each farm and myself as full-time bookkeeper. At any given time, we can have a combination of 3 harvesters (plus the one soybean combine), a giant spray rig, up to a dozen tractors, a 4-wheeler, and a Gator in the fields. The cost to purchase, maintain, repair, insure, and fuel the equipment alone is astronomical. Honestly, we sometimes wonder if we are insane. But we are supporting a dozen plus families. 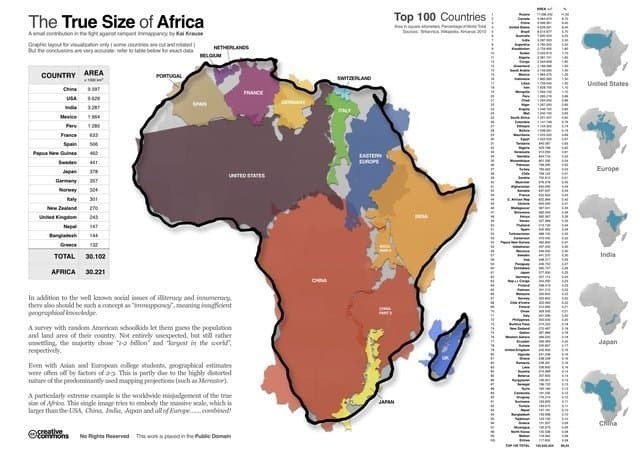 And we are no where near a large sugarcane farm! Great post! I agree, we need ALL types and sizes of farms to feed the world! Diversity is a great thing. Love your blog and all the great info you provide, keep it up and thank you! What I’m reading, you are not the big farm that is pushing the small farmer out, you are just an ordinary size farm, like we’ve had for year 100 cow or more, a few hundred acres, etc. The big corporate farms that I hear about pushing others out are the ones usually not owned by families & ones with 1,000 or more acres. No I’m not the big farmer. 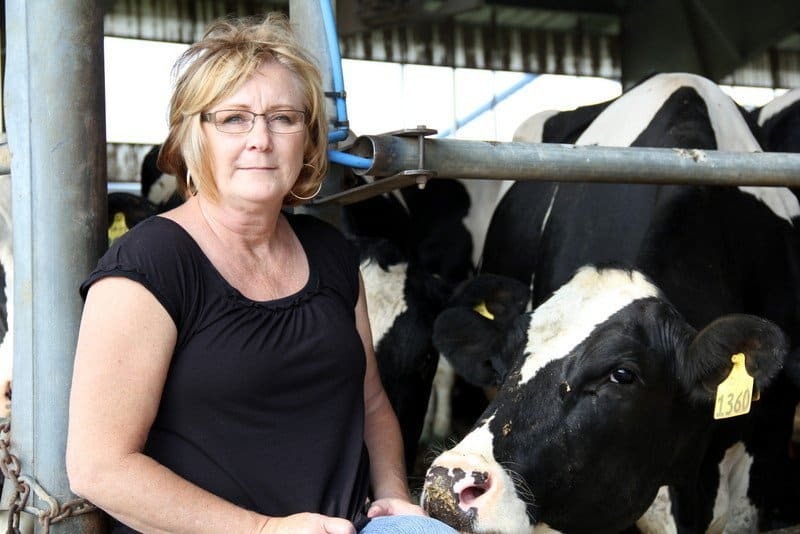 I’m the small farmer and I don’t believe that big farms are pushing me out. As far as big corporate farms go… I’ve been on hundreds of farms from 2 cows to 10,000 cows and not a single one was owned by a corporation. Even the largest farms in our country are owned by families. A 1,000 acre grain farm would be a smaller grain farm. Hub’s best friend and his family own a grain farm and raise crops on about 6,000 acres. There are lots of misperceptions out there about large farms and even though we don’t have a big farm I am certainly not anti big farm. I live in a completely different world where the farms are getting smaller. We are in a valley where the Amish have decided to relocate. They milk an average 40 cows per farm to sustain an average family size of 8. When a 300 acre farm comes on the market, the Amish buy it and divide it into two farms for two families. One family uses the existing buildings and the second family, often a son or daughter, builds an entirely new set of buildings and just like that, one farm becomes two farms. In our valley, we have watched as at least 20 new dairy farms of 40 cows have grown up from former pastures in the past 10 years and it is very cool to see a once vibrant dairy area that has been dying for years, revitalize itself in such a short time. There isn’t enough space here to describe the economics of why the 40 cow 100 acres Amish dairy farm is successful but trust me when I tell you it is. It is successful because most of them are Organic dairies earning $38 to $40 cwt. I’m friends with many of them and they don’t understand the English mantra of “bigger is better” but that is a conversation for another day. "American Barn Stories and Other Tales From the Heartlands"
The Farmer’s Daughter made a post recently explaining that the inheritance tax hurts farming families too, since Uncle Sam takes a sizable cut when the farm is passed down through generations. Many sell due to lack of free assets with which to pay the bill when someone passes away. This needs to be shared with the general public, because so many of us care! I’m voting straight Democrat, but writing whomever wins to tell them that I want our nation’s farming families covered somehow, so farms aren’t forced to close when someone dies.